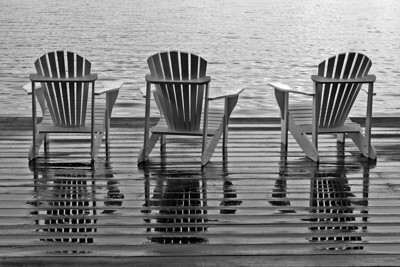 Where did the Adirondack Chair come from? 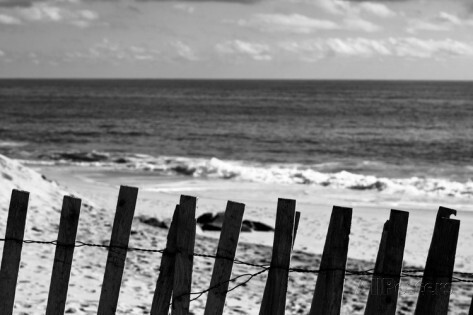 Who would have thought that such a simple piece of furniture would become such a classic and timeless representation of the Hamptons lifestyle. Certainly not it's creator Thomas Lee who simply couldn't find a comfy chair for his cottage in Wesport, New York. 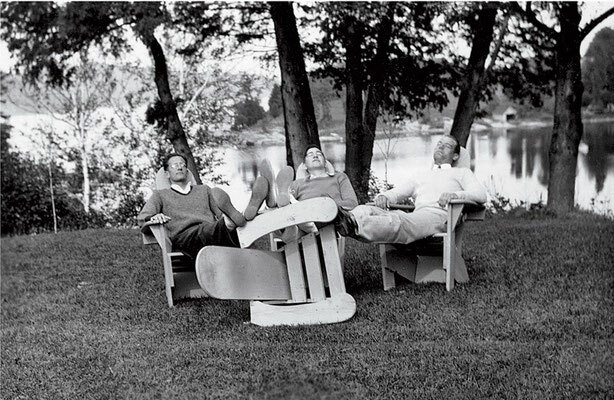 Lee created the chair around 1903 and name it after the Adirondack mountain region in upstate New York. It is thought that Lee's hunting buddy, Harry Bunnell who was a carpenter, actually stole Lee's chair design and sold the chairs for a savy profit. Unfortunately for Lee, Burnell did not share any of the profit and there is no evidence to suggest that Lee sought any type of compensation. 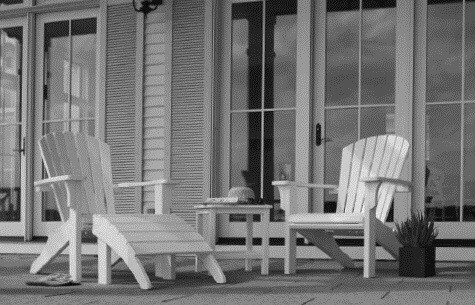 Today the Adirondack Chair has undergone many variations allowing for greater durability, more comfort and greater aesthetic appeal. Today's chairs are instantly recognizable and remain very popular. Our Seashell Adirondack Chair is an example of how far the chair has come in terms of quality and design. Now made out of 100% recycled polyethylene and stainless steel, buyers can be assured that they are investing in high quality outdoor furniture with classic timeless appeal.